We end our first season of #SoulForcePolitics with the release of a special two-part series dedicated to exploring the healing power of love to conquer hate in the aftermath of the tragedy at Pulse Nightclub in Orlando. Two years ago this week, forty-nine souls were violently and unexpectedly taken from us as they were on the dance floor shining their light, loving life, and celebrating LGBT Pride. The darkness that filled the hours after this vile attack was almost too much for many to bear. And then Melissa Etheridge came in to help us heal a little bit. She immediately wrote and recorded the song “Pulse,” which remains a powerful reminder of how and why we are all called to love one another. 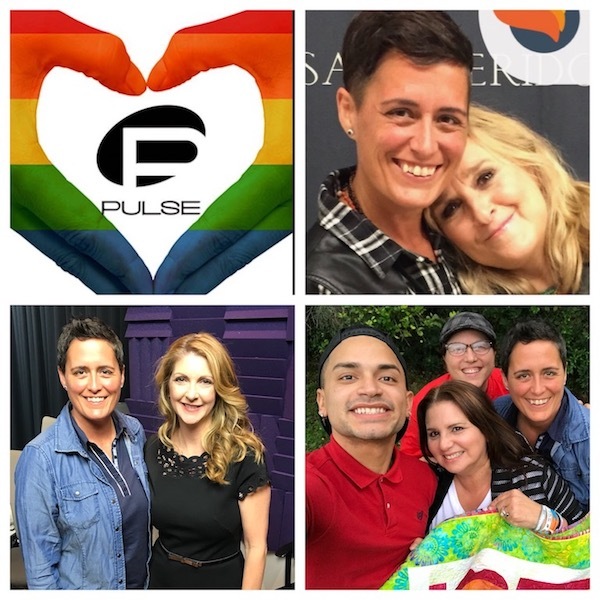 Melissa joins us for a brief interview as part of our #SoulForcePolitics podcast tribute to Pulse survivors, families of the victims, and the Orlando alliance that formed after this tragedy. I went to Orlando to meet and hear the stories of Barbara Poma, Pulse Nightclub owner and founder of the One Pulse Foundation; Víco Baéz Febo, one of the survivors of this heinous hate crime whose emotional wisdom is medicine for weary souls; Mayra Benabe-Alvear, the strong, big-hearted, and remarkably joyful mother of victim Amanda Alvear; and Robin Maynard-Harris, community activist and a founding board member at the One Orlando Alliance. From this wonderful weekend together, I have curated a unique story of insight told through their woven and interrelated experiences. Through it all, is a story of the resilience of the human spirit and the power of love to rise above everything. Love always wins. In a time when so much of the news and focus is on the negativity and the poisoned relationships around us, this podcast can be your refuge for how to defeat it with a connection to all that is beautiful and positive in this world. So stick with us through both episodes. You won’t want to miss a single moment. And please, honor them with action. Choose only love. Be ONE.